Root canal treatment (also known as endodontic treatment) is a dental procedure to save a tooth that has been badly damaged. Unfortunately, your tooth's pulp can become damaged due to untreated dental decay, decay underneath a filling, tooth trauma, tooth grinding or gum disease. The pulp is the soft tissue deep inside your tooth which contains nerves, blood vessels and connective tissue. The pulp of your tooth is essential for normal growth, development and health of your tooth. During the root canal treatment, you dentist will replace your tooth's damaged or infected pulp within the hard layers of the teeth. This will help you save your tooth, which is usually stronger, cost effective and more efficient for eating than artificial tooth. In determining the need for root canal treatment, your dentist will examine your symptoms, teeth and may take digital radiographs. Radiographic examinations are crucial in helping your dentist determine which therapy is needed and will reveal the number, size, curvature and depth of the roots. 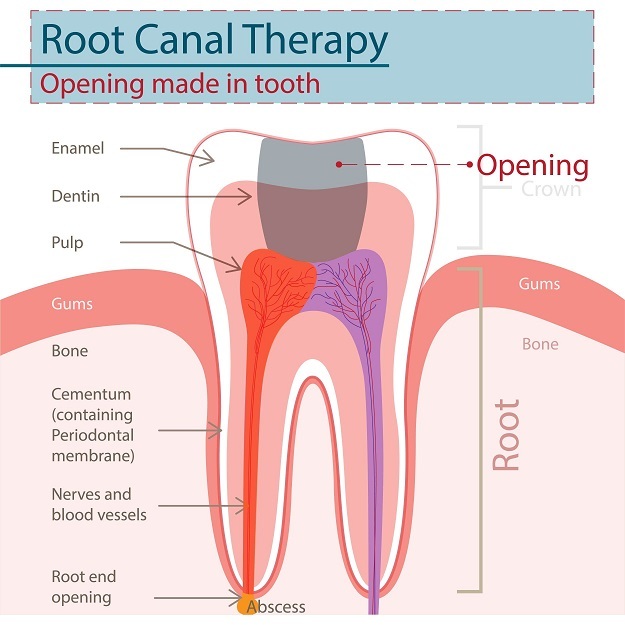 Root canal treatment is successful in most cases. If you take good care of the treated tooth, it may last for many years. Your dentist at Lyneham Dental Care will only undertake root canal treatment when long term benefits warrants the procedure. There are cases however where your tooth may not be appropriate for root canal treatment and extraction may be the best or only option. Please contact us if you would like an appointment to discuss your options.